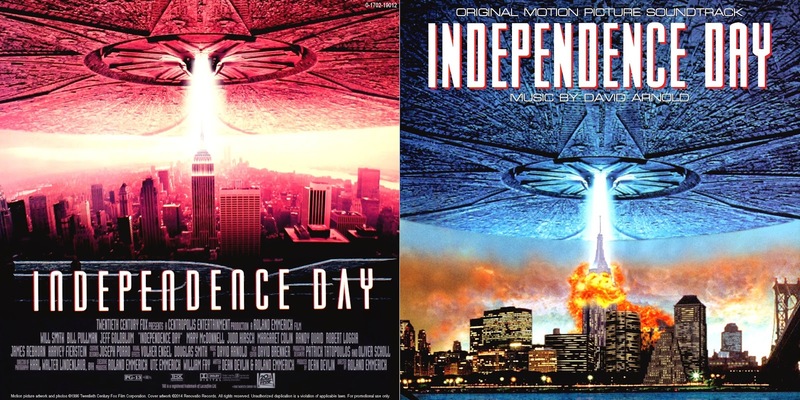 Despite the nationalist background of its plot, the film is a masterpiece in terms of visual and special effects, which in combination depict some of the most unsettling, unique and convincing alien attacks ever to be present in a sci-fi movie. 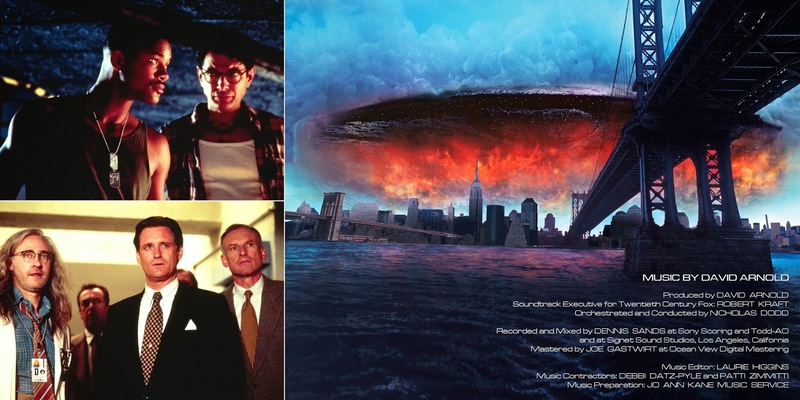 At the time of its release, it was the highest-grossing film of 1996 and even nowadays, some of its scenes, like the destruction of the White House, are considered iconic. 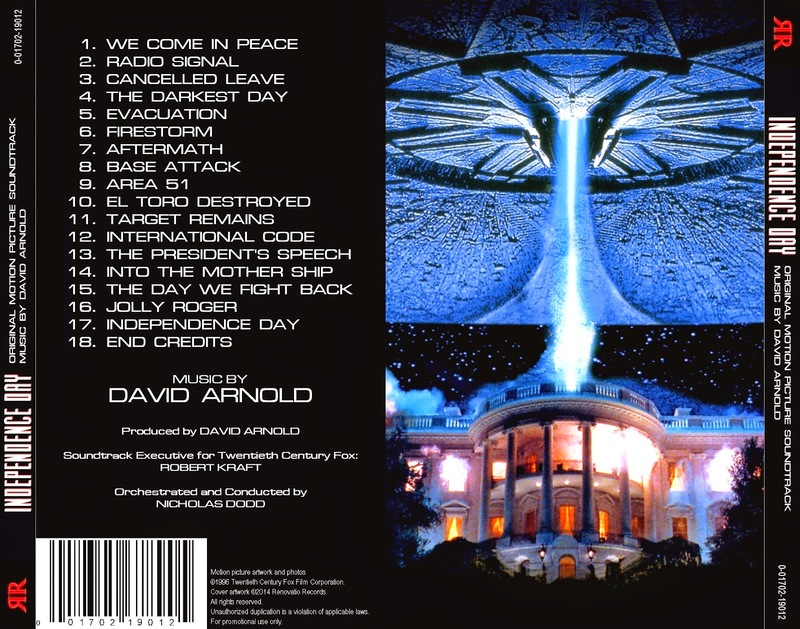 Independence Day also brought together the team Roland Emmerich-Dean Devlin-David Arnold, after working together in Stargate. 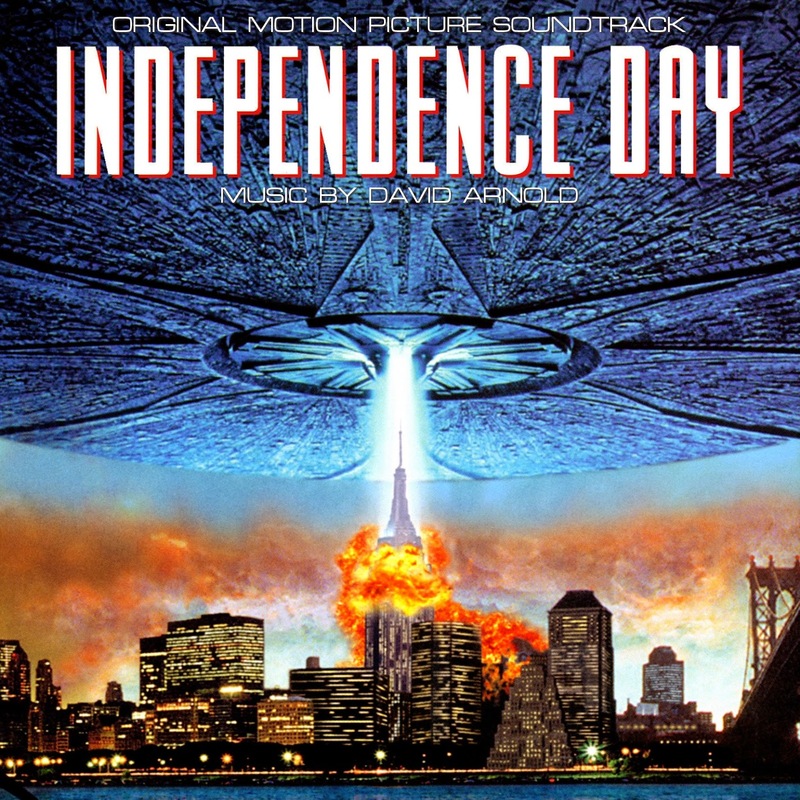 For ID4, Arnold created what is probably the most memorable score of his entire career (so far). With an orchestra composed of 90 players and 46 choristers, the music is marvellous for its rich thematic content, patriotic fanfares, menacing passages and rumbling action sequences. The score was originally released in 1996 by BMG Classics/RCA Victor in the form of a short album that not only lacked some of the most outstanding cues of the film but also included several alternate versions for some of the tracks. 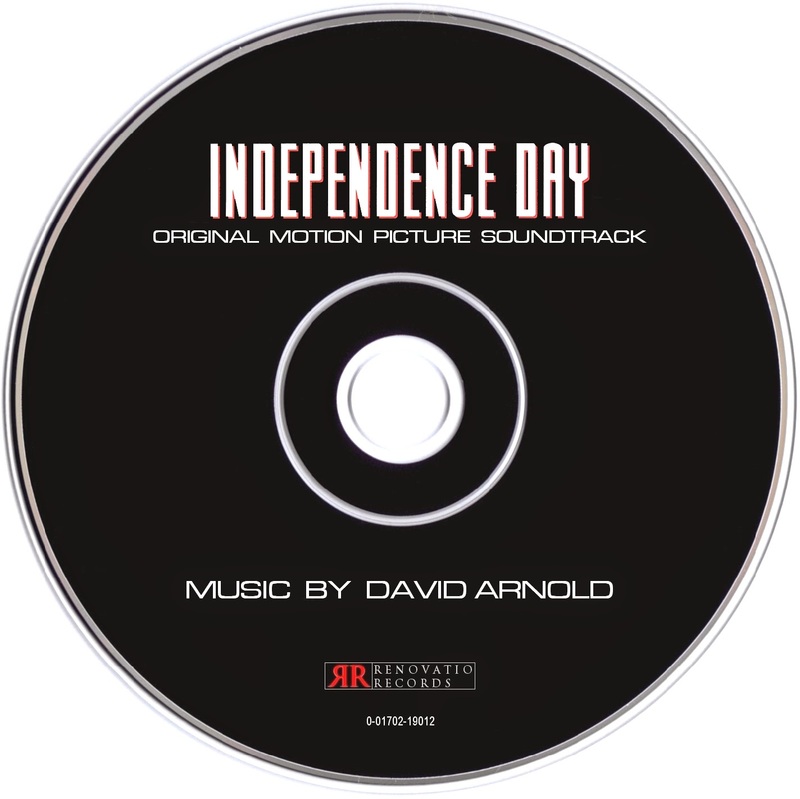 Several expanded bootlegs circulated around in the black market, until La-La Land Records released a complete 2-CD presentation of the score. Now, Renovatio Records presents you with its own personal edition of the score, into a soundtrack album that includes every single cue that you expect to hear. We hope you enjoy revising this outstanding piece of art, which certainly stands a among the classics of the digital age of film music. Thanks for the kind words! Lossless version of this soundtrack is coming up. Stay tuned!